A friend’s historical 1875 renovated farmhouse in Barrington, Illinois, has so many architecturally magnificent design details to inspire! 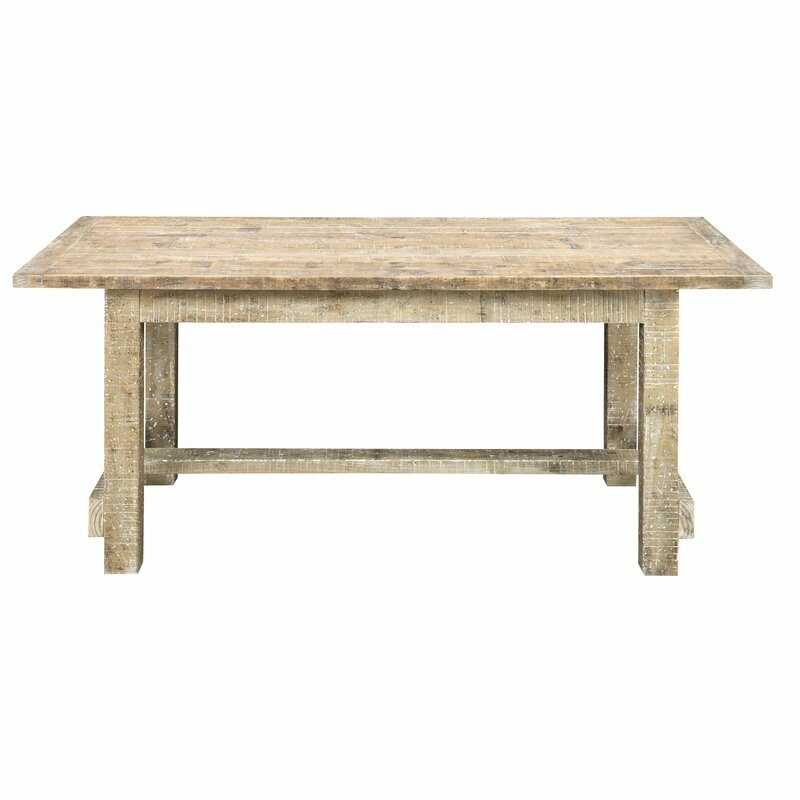 I’m reviewing a few of them today in case the modern farmhouse look is one you admire or one for which you enjoy collecting or pinning ideas for future reference. Psst! Please vote for Hello Lovely in the Best Written category – it’s the last day of voting HERE! Farmhouse interior design inspiration for fans of industrial, modern, and traditional farmhouse house designs. This 1875 historical farmhouse in Barrington, Illinois was renovated to a high standard with superior craftsmanship and bespoke design details. 14 Awesome Modern Farmhouse Design Details. Image: Hello Lovely Studio. Modern farmhouse exterior inspiration…lovely indeed. 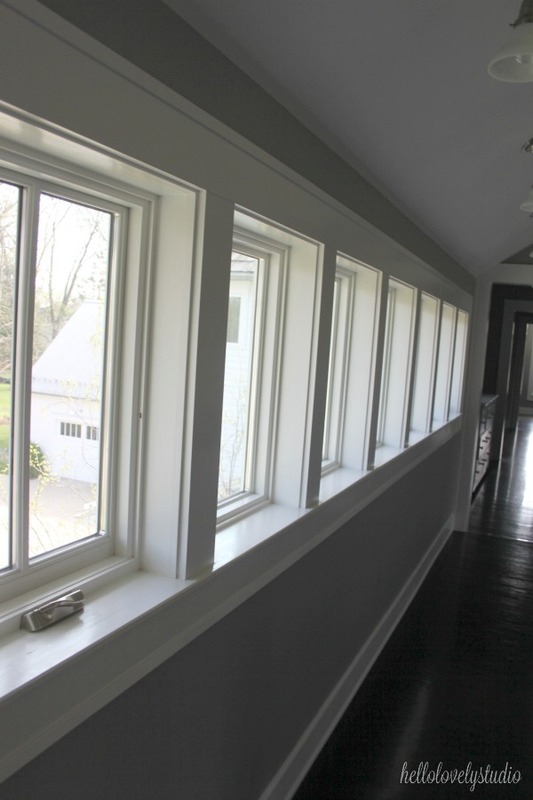 This row of windows in an upstairs hall add so much architectural interest, natural light, and beauty to enhance everyday living. Gallery of windows in upstairs hall. Farmhouse interior design inspiration for fans of industrial, modern, and traditional farmhouse house designs. This 1875 historical farmhouse in Barrington, Illinois was renovated to a high standard with superior craftsmanship and bespoke design details. 14 Awesome Modern Farmhouse Design Details. Image: Hello Lovely Studio. The most pleasing room designs tend to sport a mix of old and new, and sometimes it is simply the suggestion of old that can effectively enliven such a mix. 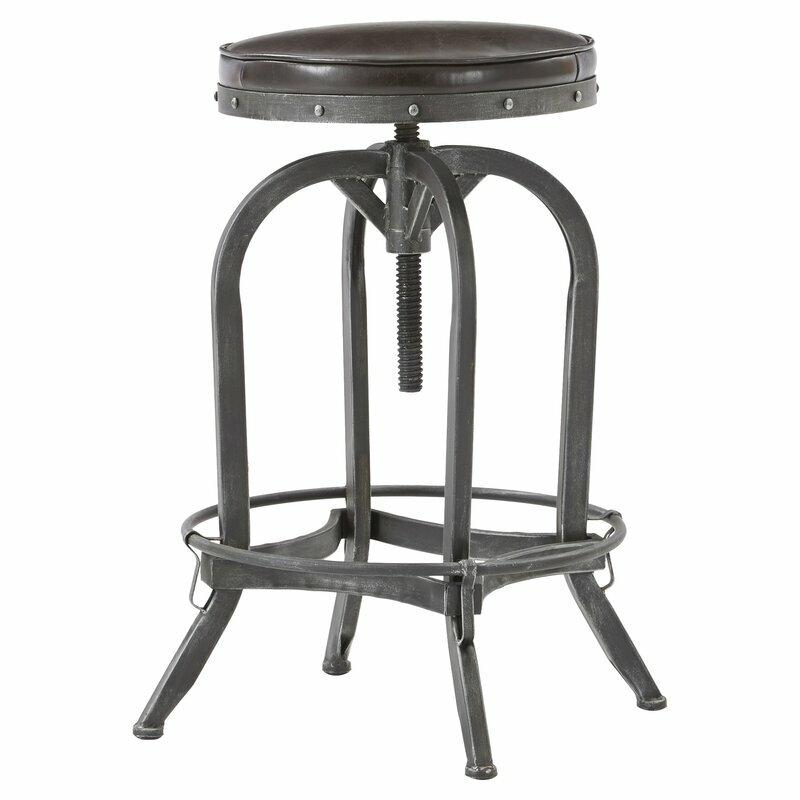 This newly constructed chair (RH) with a deconstructed style is suggestive of a vintage one which has been stripped. 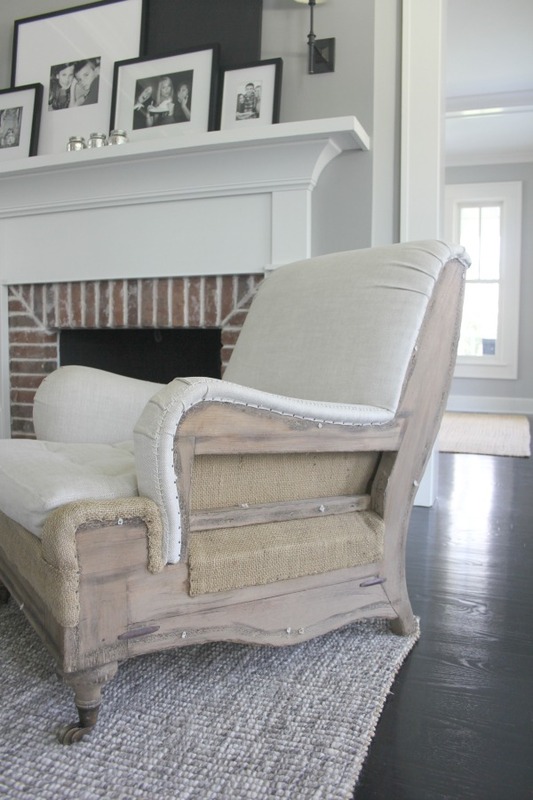 Have you ever dragged home a vintage chair and removed upholstery for a similar look? 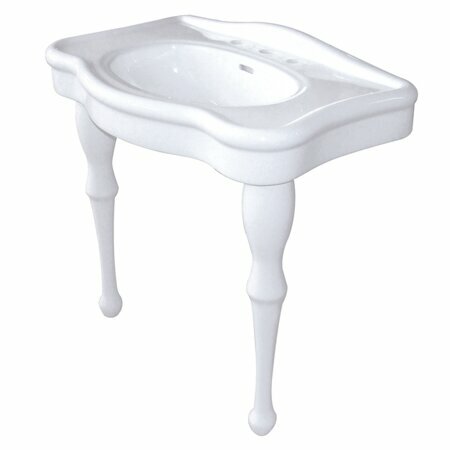 I have always wanted to try that! A deconstructed arm chair in a living room. Farmhouse interior design inspiration for fans of industrial, modern, and traditional farmhouse house designs. This 1875 historical farmhouse in Barrington, Illinois was renovated to a high standard with superior craftsmanship and bespoke design details. 14 Awesome Modern Farmhouse Design Details. Image: Hello Lovely Studio. 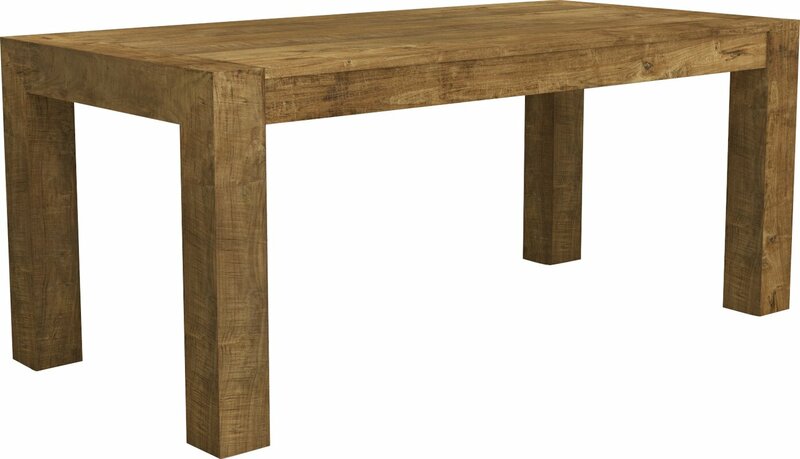 In case you admire minimal industrial farmhouse inspiration…certainly lovely indeed. It’s such a nostalgic gesture, and to modernize a very traditional home decor practice, consider calming the mood with black and white photos to unify them and framing them in a singular style. 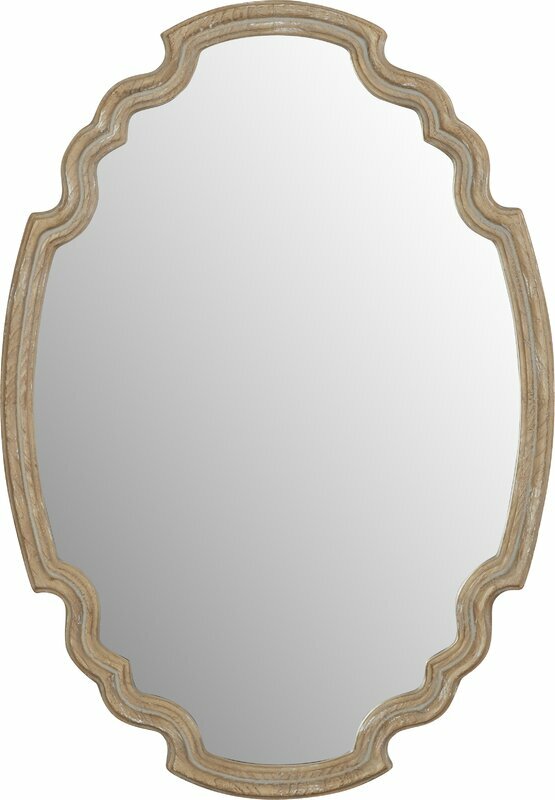 Need a few frames for nostalgic framed family photos ascending the staircase? Hello Lovely Studio. 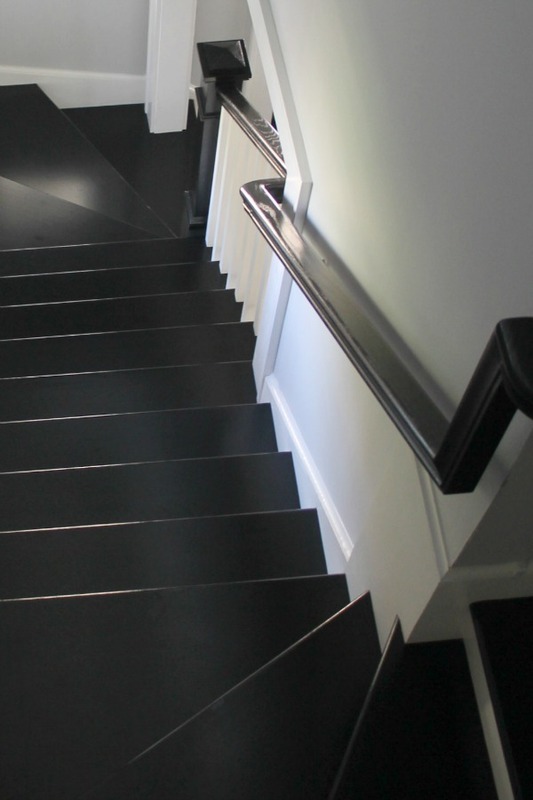 Black painted stairs, grey walls, and white painted stair risers. Farmhouse interior design inspiration for fans of industrial, modern, and traditional farmhouse house designs. This 1875 historical farmhouse in Barrington, Illinois was renovated to a high standard with superior craftsmanship and bespoke design details. 14 Awesome Modern Farmhouse Design Details. Image: Hello Lovely Studio. 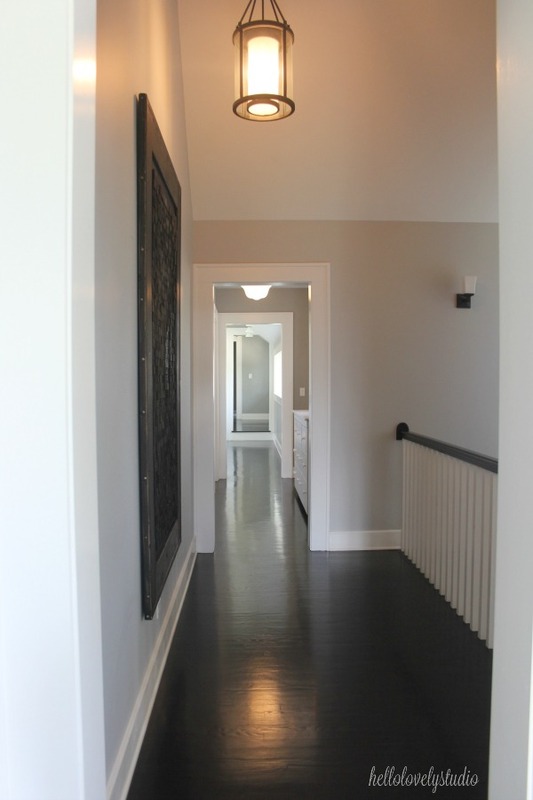 All of the black flooring in this modern farmhouse contribute to its more contemporary style. Staircase inspiration. Farmhouse interior design inspiration for fans of industrial, modern, and traditional farmhouse house designs. This 1875 historical farmhouse in Barrington, Illinois was renovated to a high standard with superior craftsmanship and bespoke design details. 14 Awesome Modern Farmhouse Design Details. Image: Hello Lovely Studio. View from second floor landing. Farmhouse interior design inspiration for fans of industrial, modern, and traditional farmhouse house designs. This 1875 historical farmhouse in Barrington, Illinois was renovated to a high standard with superior craftsmanship and bespoke design details. 14 Awesome Modern Farmhouse Design Details. Image: Hello Lovely Studio. So many living rooms in modern farmhouses around the web seem to sport beachy white slipcovered sofas or more feminine designs. 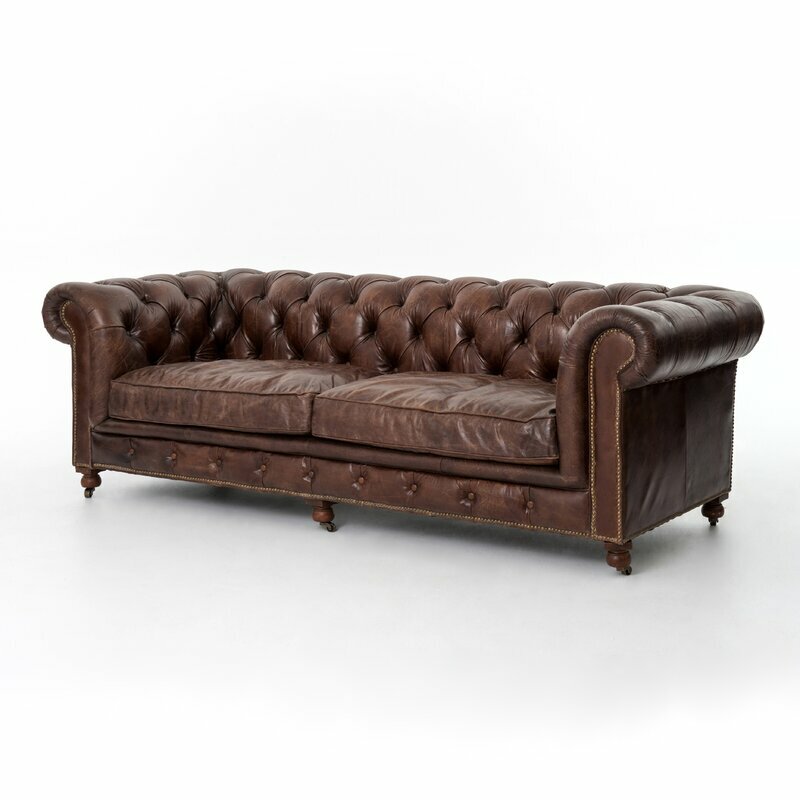 This farmhouse living room’s masculine leather tufted Chesterfield sofa adds traditional style and a rugged handsomeness which can stand up to years of use and enjoyment. Chesterfield sofa in a neutral living room with a mix of vintage and modern. Farmhouse interior design inspiration for fans of industrial, modern, and traditional farmhouse house designs. This 1875 historical farmhouse in Barrington, Illinois was renovated to a high standard with superior craftsmanship and bespoke design details. 14 Awesome Modern Farmhouse Design Details. Image: Hello Lovely Studio. In an otherwise neutral space, a colorful stained glass window in the mud room serves as a work of art and a happy focal point. 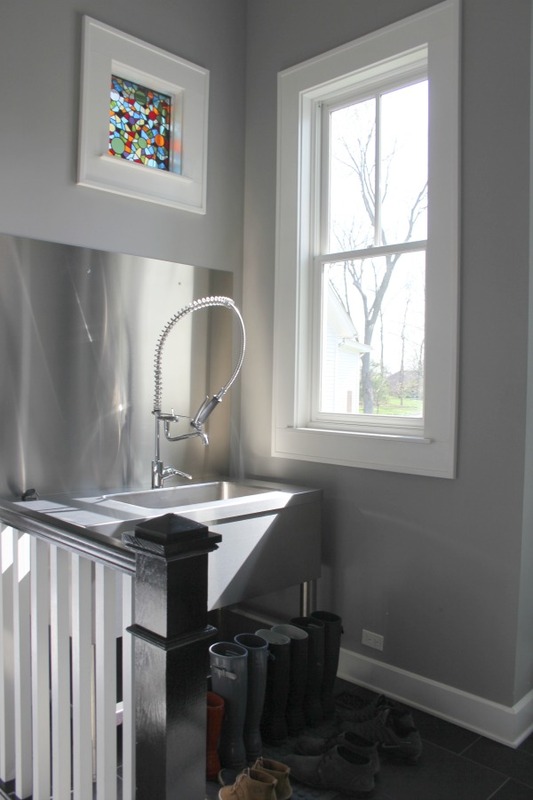 Mud room with stainless steel and an industrial sink with sprayer. Farmhouse interior design inspiration for fans of industrial, modern, and traditional farmhouse house designs. This 1875 historical farmhouse in Barrington, Illinois was renovated to a high standard with superior craftsmanship and bespoke design details. 14 Awesome Modern Farmhouse Design Details. Image: Hello Lovely Studio. 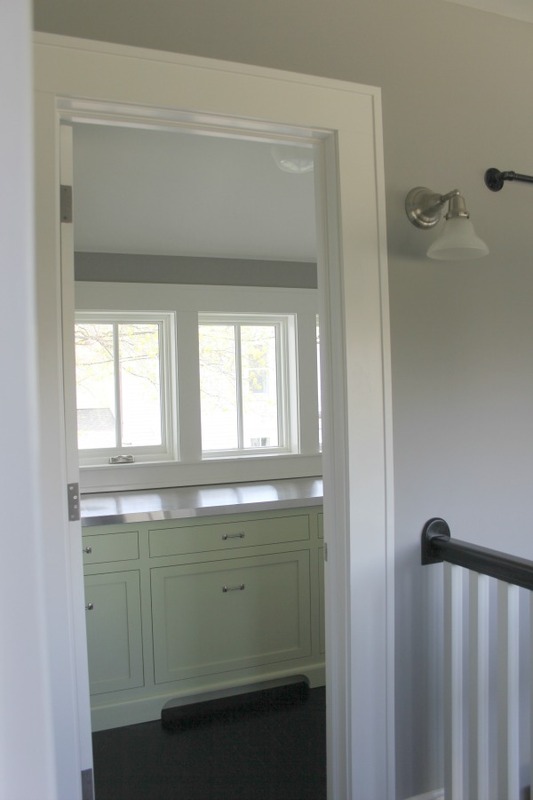 The light green custom pistachio paint color chosen for some of the kitchen and pantry cabinets is one which may have been found in an old Vermont farmhouse from another century. Pistachio green base cabinets in a farmhouse kitchen pantry. Farmhouse interior design inspiration for fans of industrial, modern, and traditional farmhouse house designs. This 1875 historical farmhouse in Barrington, Illinois was renovated to a high standard with superior craftsmanship and bespoke design details. 14 Awesome Modern Farmhouse Design Details. Image: Hello Lovely Studio. 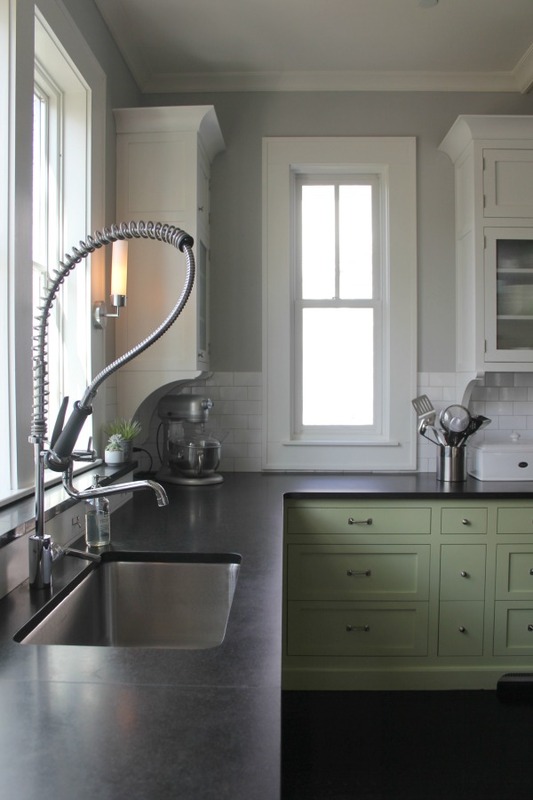 Custom green base cabinets in a charming farmhouse kitchen. Farmhouse interior design inspiration for fans of industrial, modern, and traditional farmhouse house designs. This 1875 historical farmhouse in Barrington, Illinois was renovated to a high standard with superior craftsmanship and bespoke design details. 14 Awesome Modern Farmhouse Design Details. Image: Hello Lovely Studio. 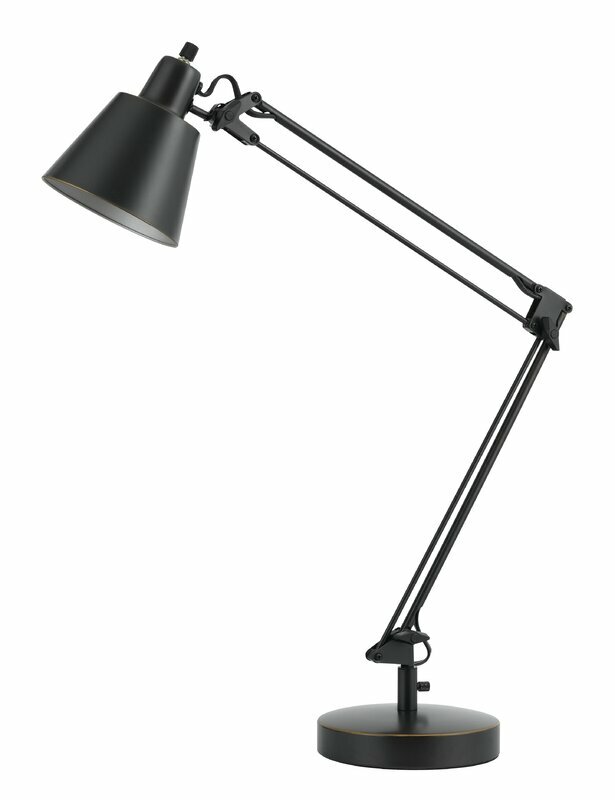 For schoolhouse style lighting ideas, see THESE OPTIONS. 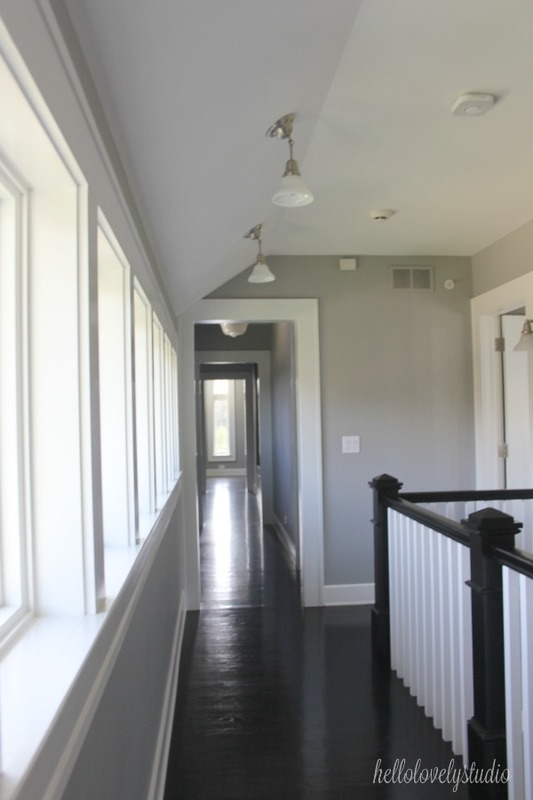 School house lights in a modern farmhouse. Farmhouse interior design inspiration for fans of industrial, modern, and traditional farmhouse house designs. This 1875 historical farmhouse in Barrington, Illinois was renovated to a high standard with superior craftsmanship and bespoke design details. 14 Awesome Modern Farmhouse Design Details. Image: Hello Lovely Studio. 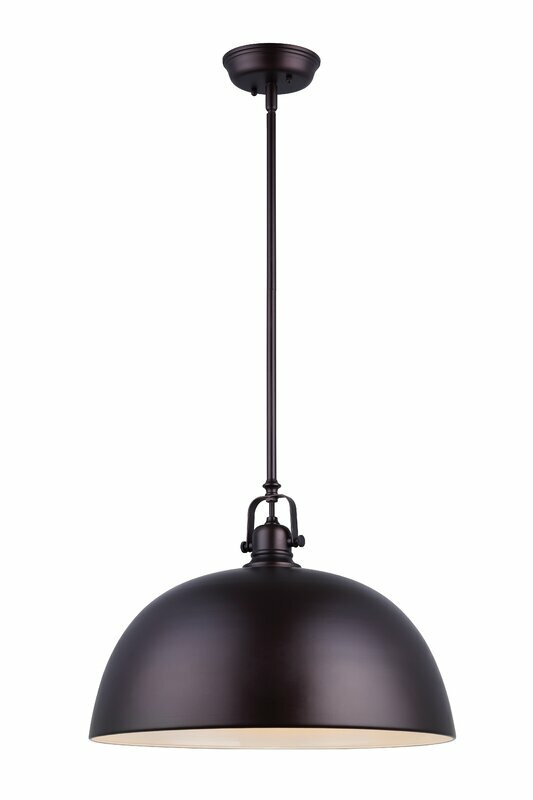 For more lantern style lighting and inspiration, see THESE OPTIONS. Farmhouse interior design inspiration for fans of industrial, modern, and traditional farmhouse house designs. This 1875 historical farmhouse in Barrington, Illinois was renovated to a high standard with superior craftsmanship and bespoke design details. 14 Awesome Modern Farmhouse Design Details. Image: Hello Lovely Studio. 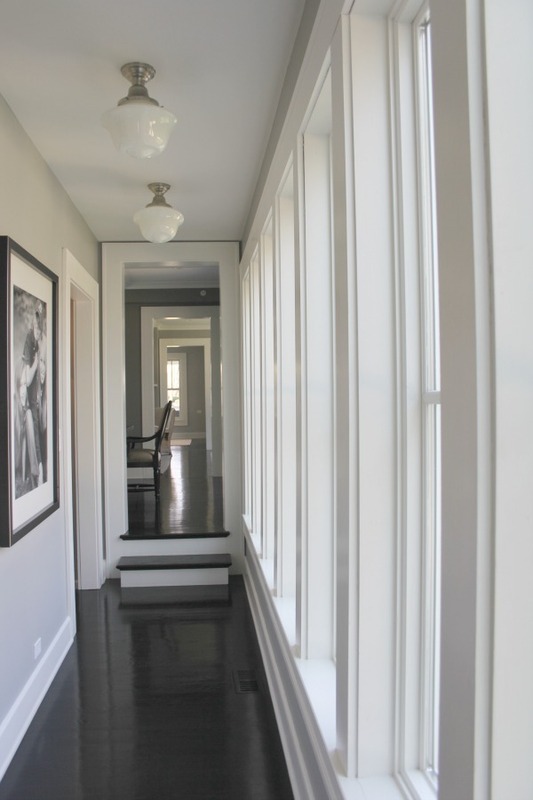 This home’s renovation features a dramatically long hallway. Upon entering the front door, one can see straight through to the backyard. 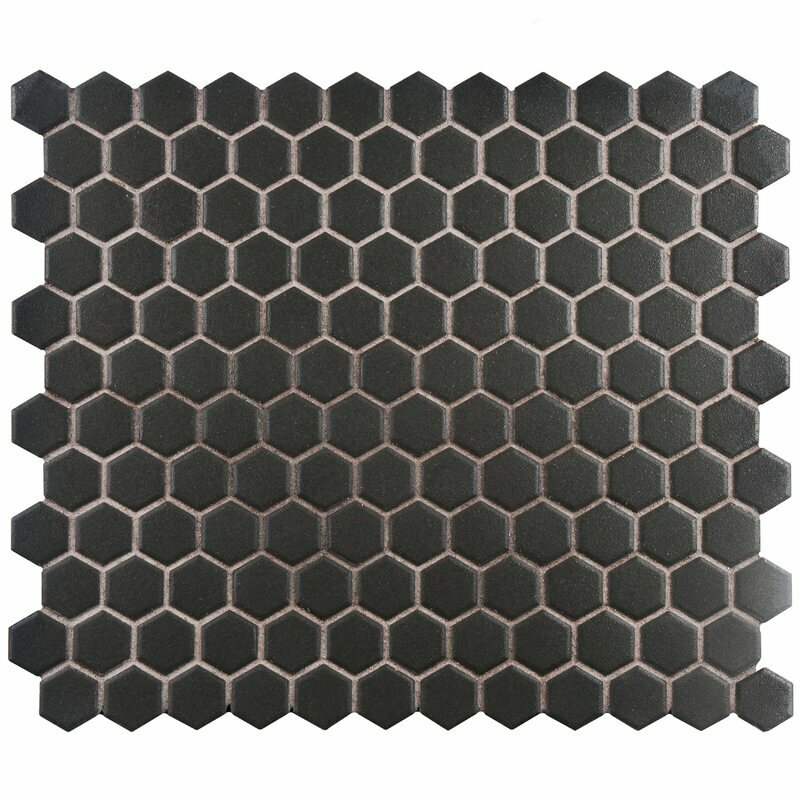 Reflective black flooring in a hallway with schoolhouse lights. Farmhouse interior design inspiration for fans of industrial, modern, and traditional farmhouse house designs. This 1875 historical farmhouse in Barrington, Illinois was renovated to a high standard with superior craftsmanship and bespoke design details. 14 Awesome Modern Farmhouse Design Details. Image: Hello Lovely Studio. 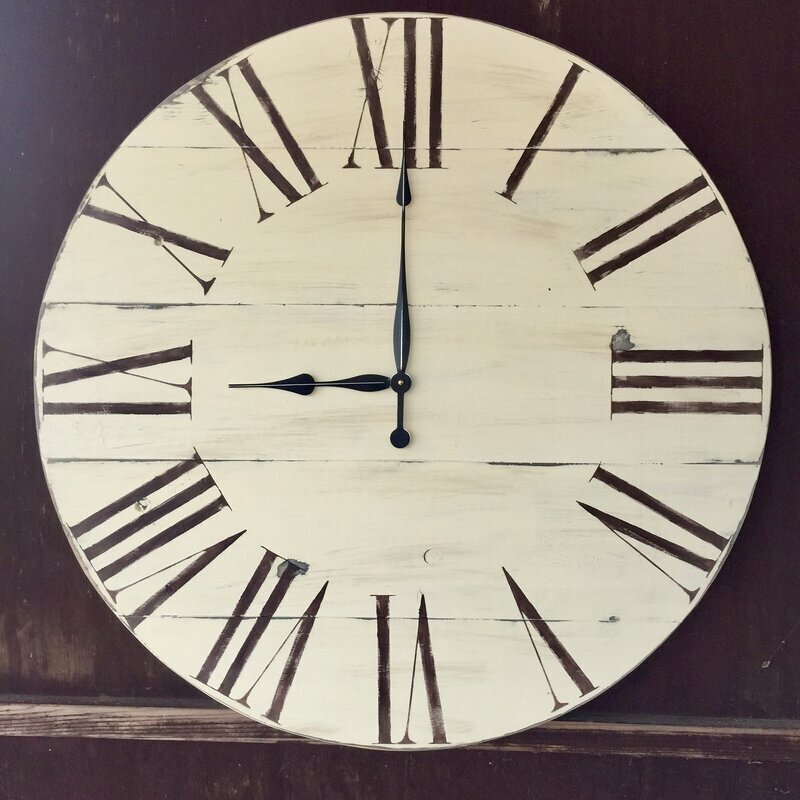 The authenticity of real painted cedar siding (as opposed to a cement board or vinyl lookalike) exudes a high-end, built to last, aged appearance which is sure to age beautifully. White cedar siding on a beautiful 1875 modern farmhouse. Farmhouse interior design inspiration for fans of industrial, modern, and traditional farmhouse house designs. This 1875 historical farmhouse in Barrington, Illinois was renovated to a high standard with superior craftsmanship and bespoke design details. 14 Awesome Modern Farmhouse Design Details. Image: Hello Lovely Studio. 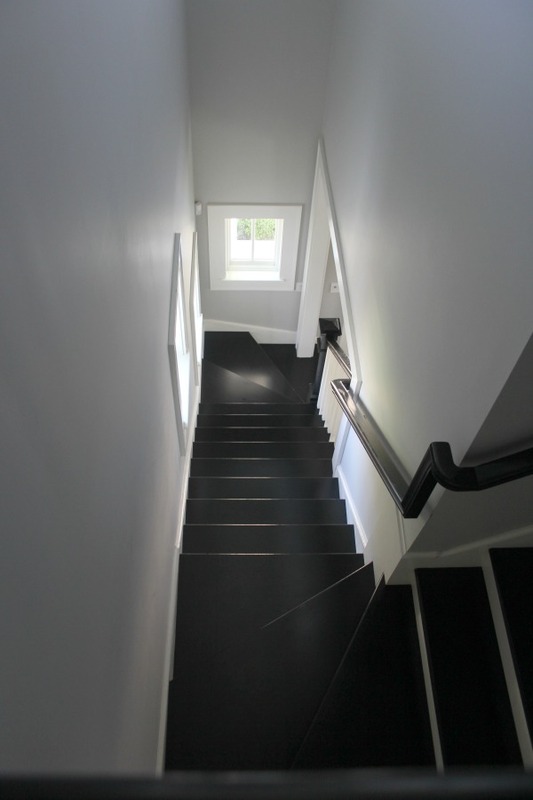 Black and white in a second floor stair landing. Farmhouse interior design inspiration for fans of industrial, modern, and traditional farmhouse house designs. This 1875 historical farmhouse in Barrington, Illinois was renovated to a high standard with superior craftsmanship and bespoke design details. 14 Awesome Modern Farmhouse Design Details. Image: Hello Lovely Studio. 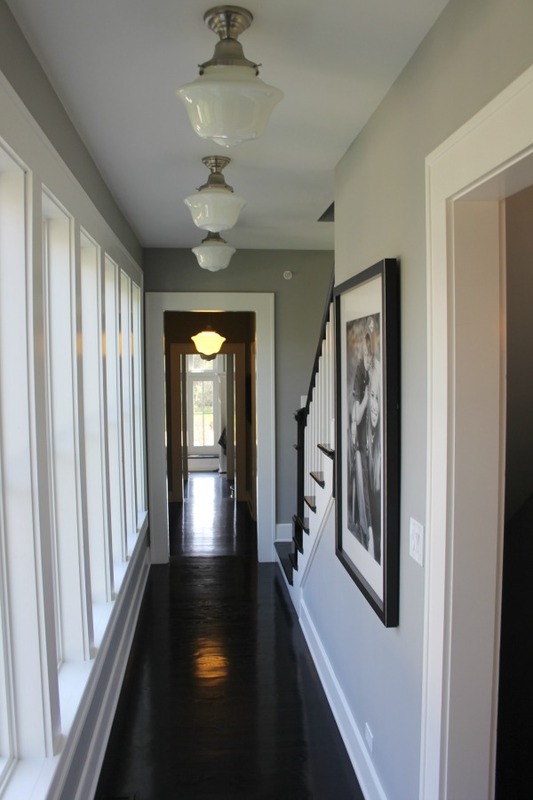 The homeowners used two different grays from Benjamin Moore for the first floor. 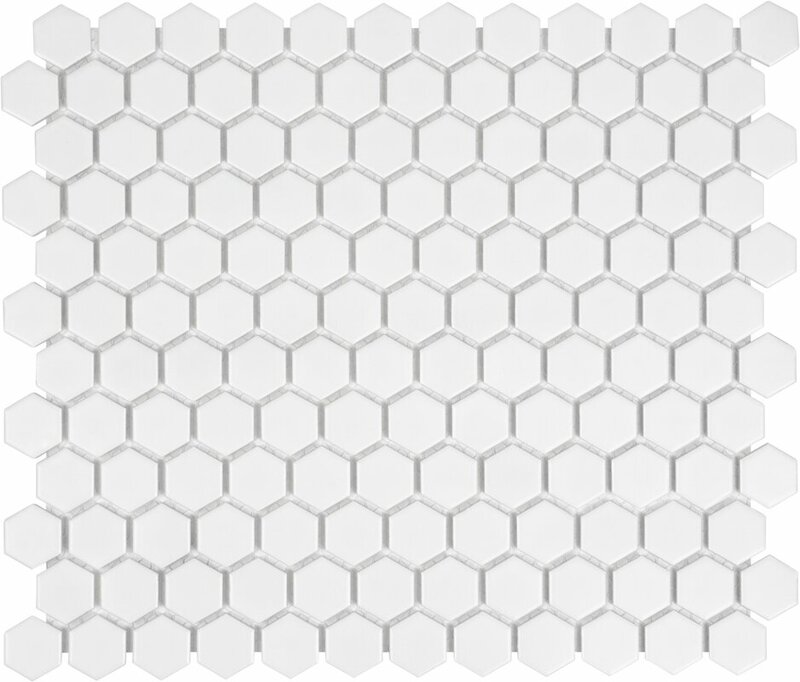 In rooms where there is less natural light or no natural light, it is often preferable to use a lighter shade. 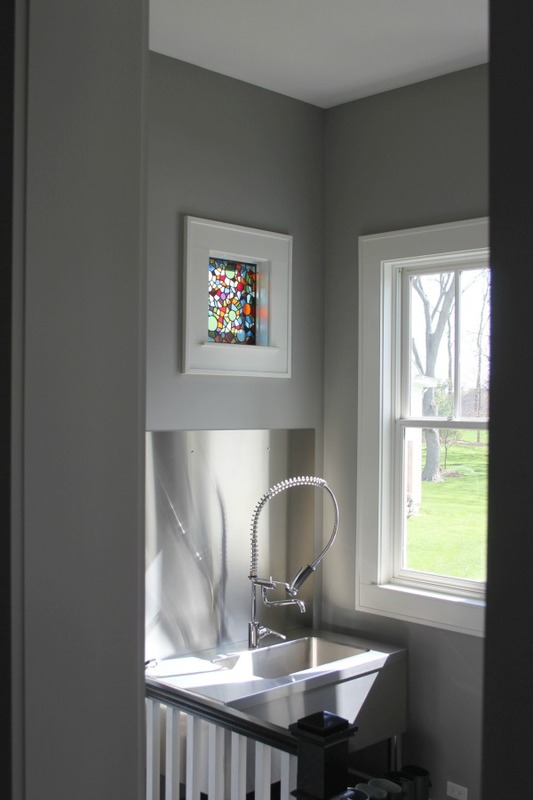 Mud room in a modern farmhouse with grey walls, stainless steel, and a stained glass window. Farmhouse interior design inspiration for fans of industrial, modern, and traditional farmhouse house designs. This 1875 historical farmhouse in Barrington, Illinois was renovated to a high standard with superior craftsmanship and bespoke design details. 14 Awesome Modern Farmhouse Design Details. Image: Hello Lovely Studio. 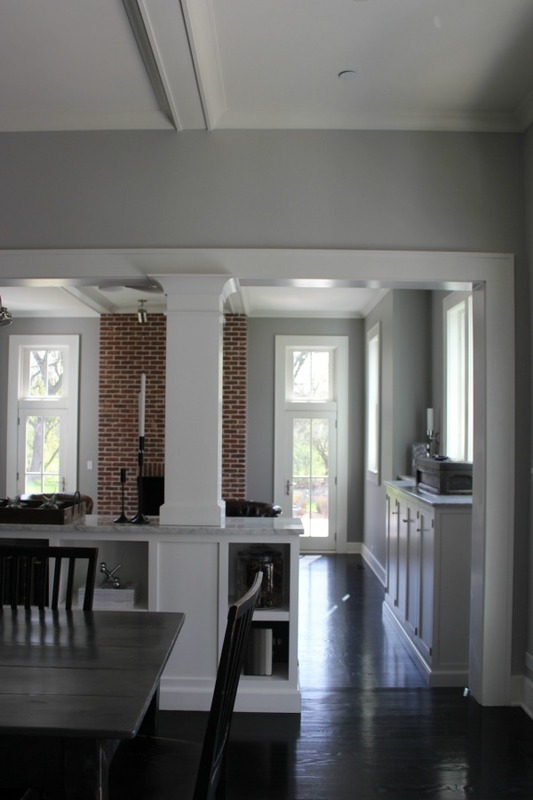 BENJAMIN MOORE Stonington Gray: This color is part of the Historic Color collection. A collection of 191 time-honored hues comprises our most popular palette. 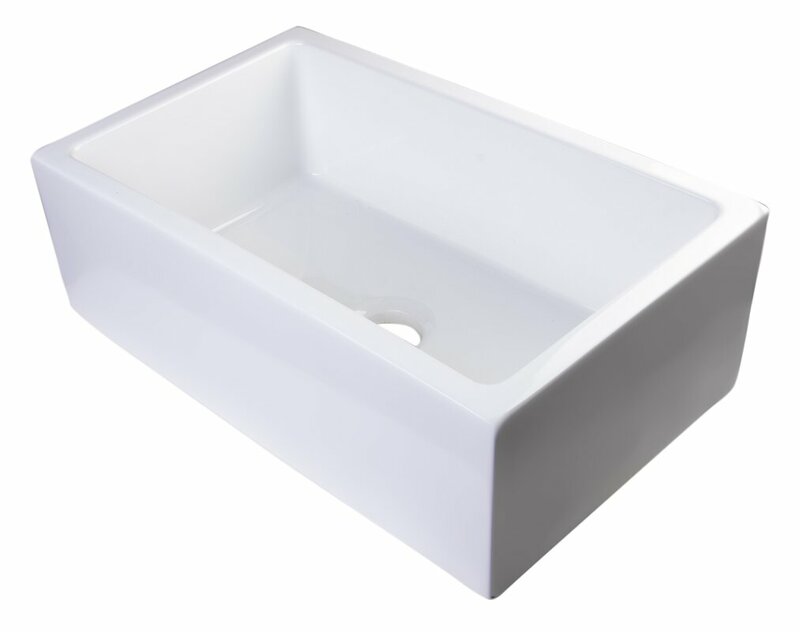 Steeped in tradition, the refined, elegant colors of the Historical Collection deliver timeless color that can be used in traditional as well as contemporary spaces. Unveiled in 1976 to celebrate the US bicentennial, a collection of 191 colors inspired by America’s historic landmarks. 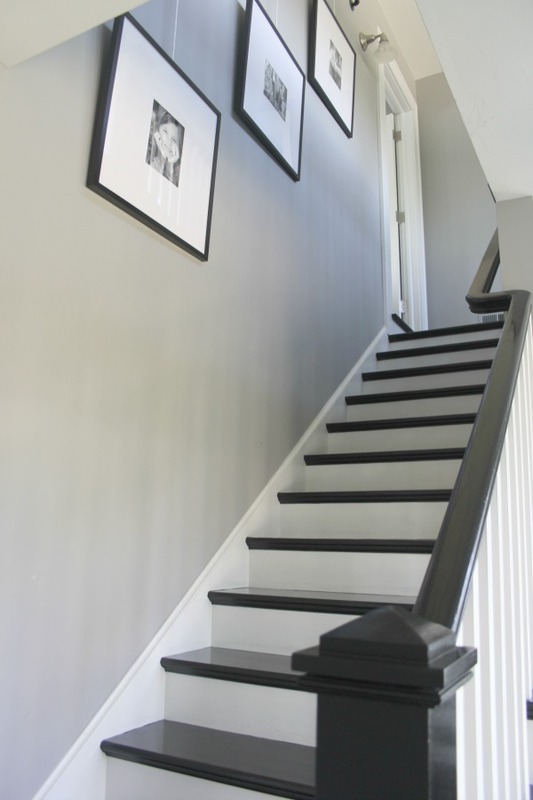 Grey walls in a stairwell with black stairs. Farmhouse interior design inspiration for fans of industrial, modern, and traditional farmhouse house designs. This 1875 historical farmhouse in Barrington, Illinois was renovated to a high standard with superior craftsmanship and bespoke design details. 14 Awesome Modern Farmhouse Design Details. Image: Hello Lovely Studio. 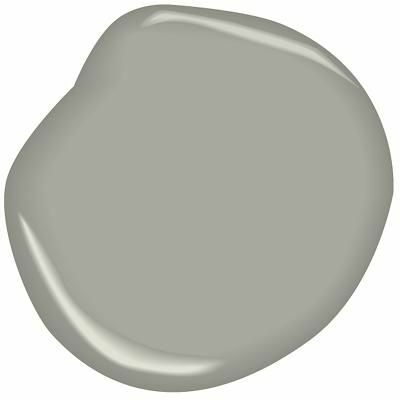 BENJAMIN MOORE Platinum Gray: A classic mid-tone gray, this adaptable shade pairs especially well with warm yellows. I love the architecture and added light these transoms over the doors leading to the deck add. Transom windows over doors flanking a red brick fireplace. 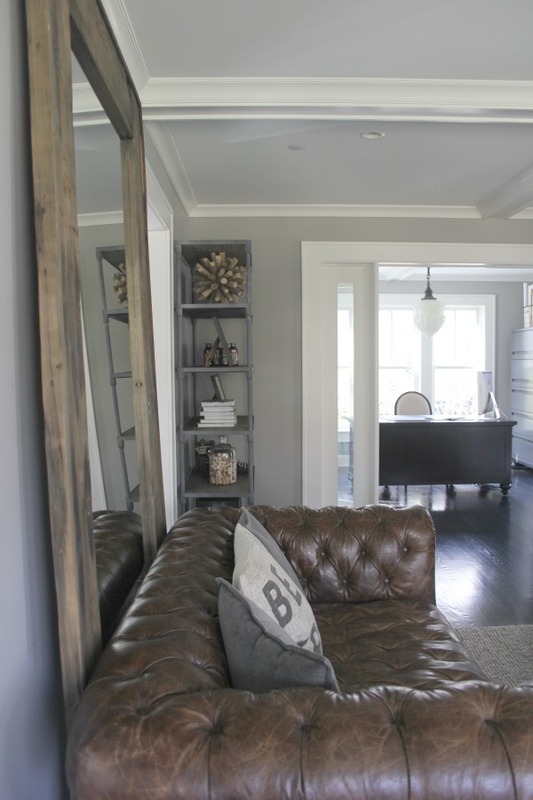 Farmhouse interior design inspiration for fans of industrial, modern, and traditional farmhouse house designs. This 1875 historical farmhouse in Barrington, Illinois was renovated to a high standard with superior craftsmanship and bespoke design details. 14 Awesome Modern Farmhouse Design Details. Image: Hello Lovely Studio. 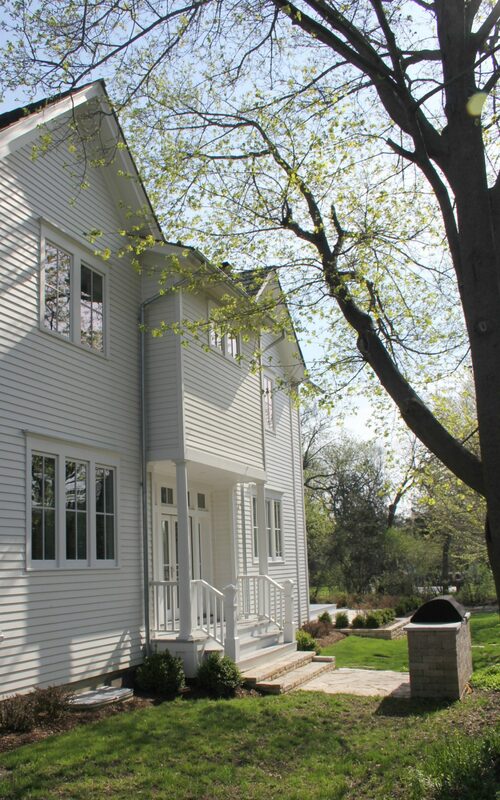 Location…609 South Grove in beautiful Barrington, IL, is surrounded by well-cared for historical homes. 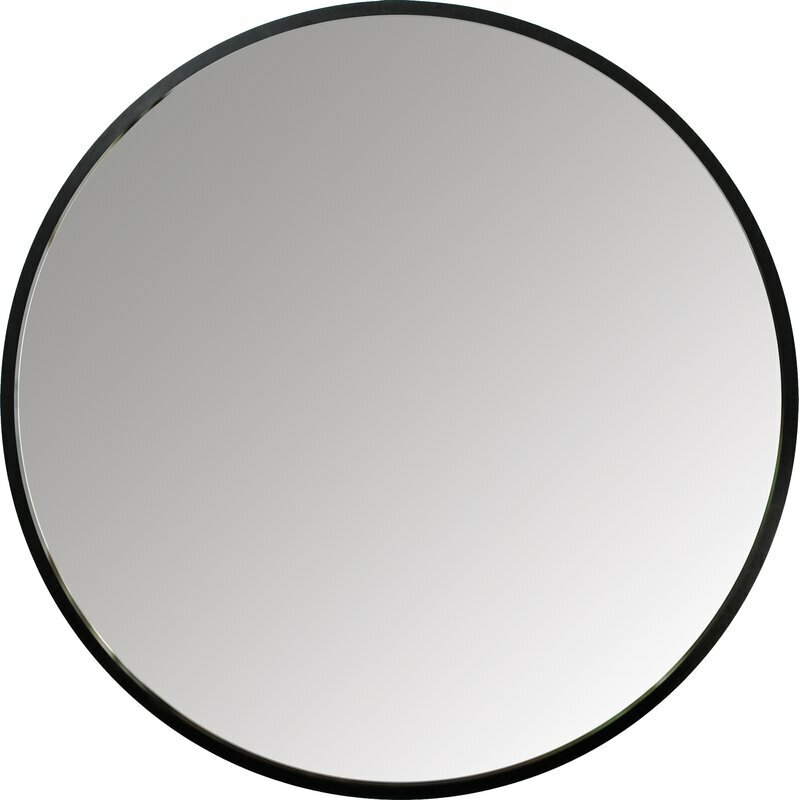 Each shines with a unique identity and point of view. 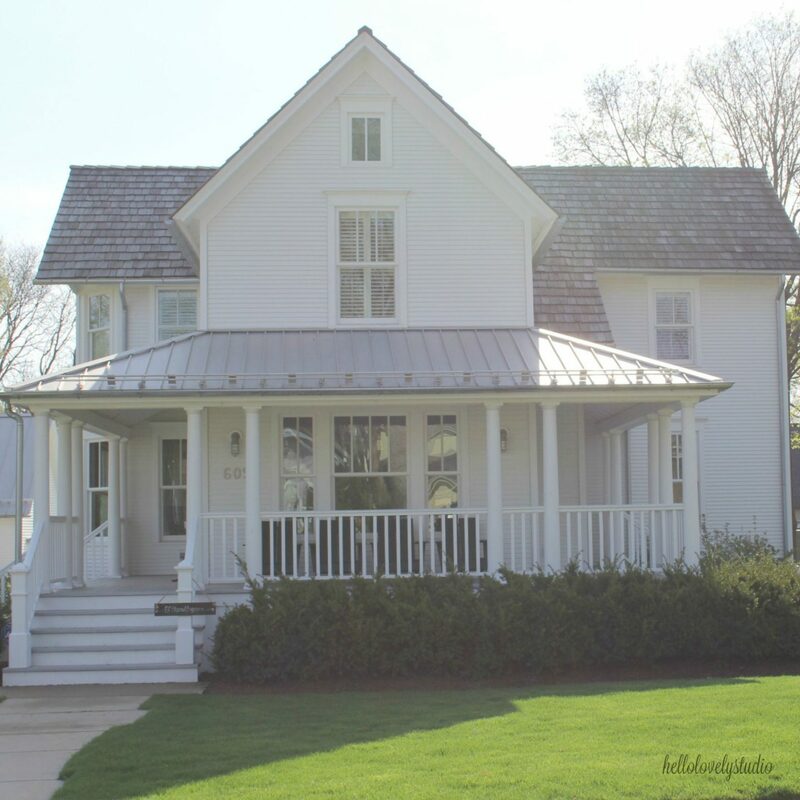 I love how the restored farmhouse is within walking distance of charming downtown Barrington. 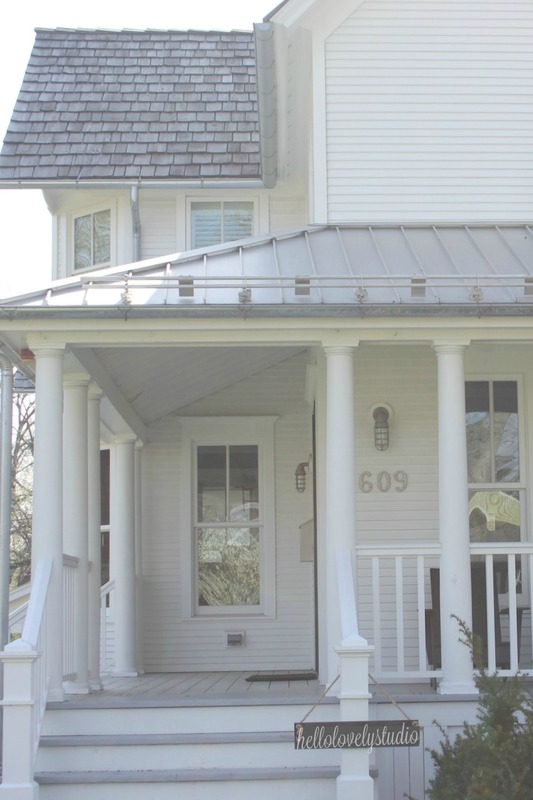 Walk to wonderful schools, family restaurants, boutiques, and thriving businesses. 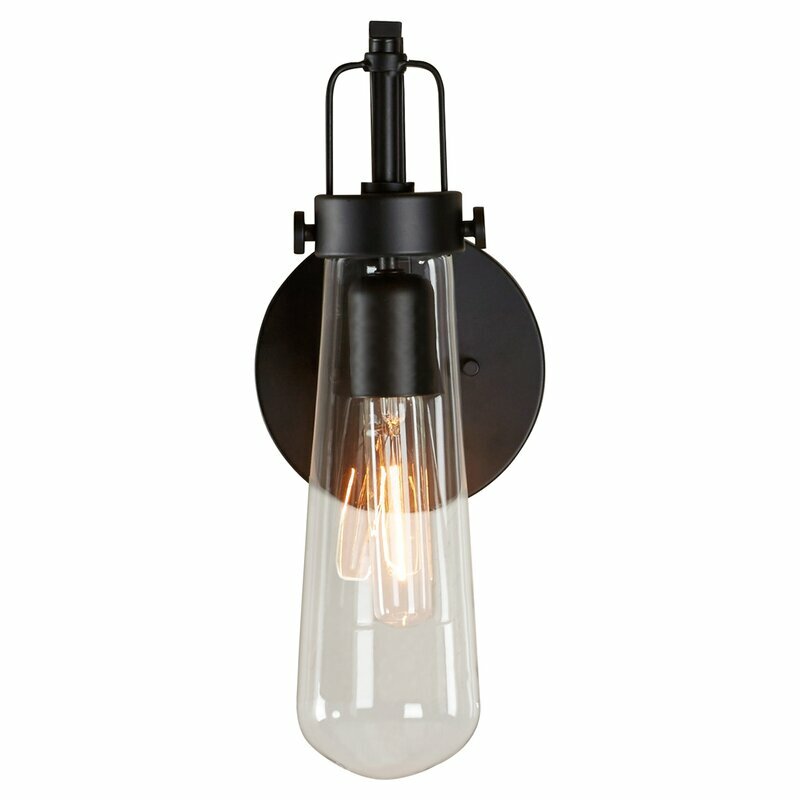 I love any caged exterior wall light, and we have used these lights for interior use. 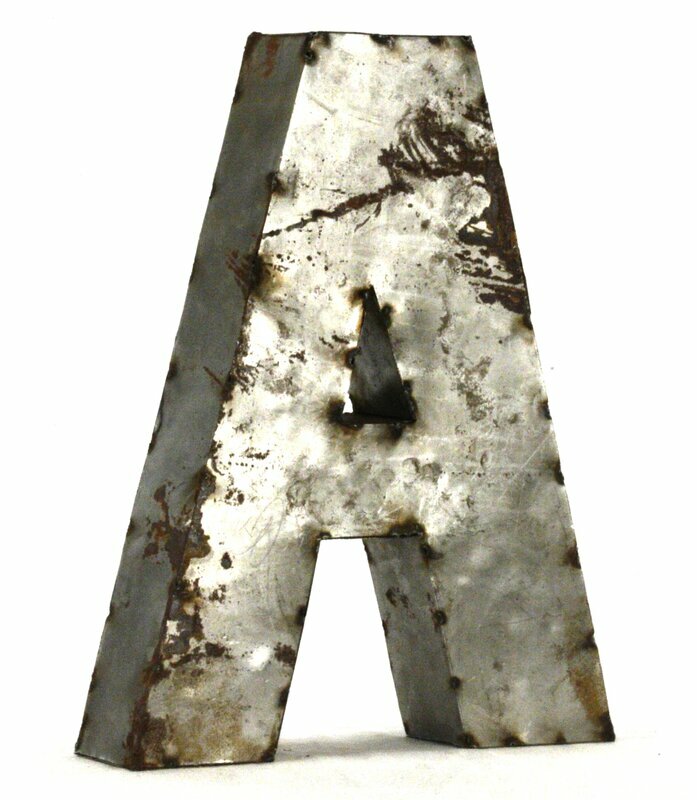 Here’s one for outside I found. Photo: Hello Lovely Studio. I hope you’ll vote for Hello Lovely in the Best Written category! I’m strangely (for me) drawn to the pistachio paint color . 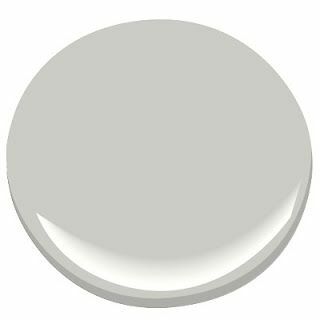 I’ve pinned it and although I’m sure my cabinets will never end up with such a fun and unexpected color -I’m perfectly happy with my white ones but……. I’m thinking my sister in law may just fall in love with the green and these pictures may just put her over the edge to pull the trigger and make it happen in her home .